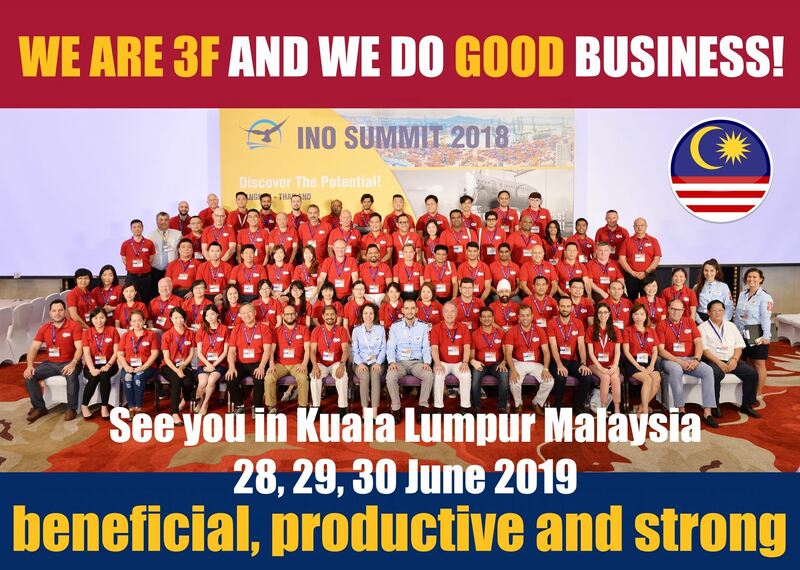 The INO Summit 2019 is a three-day joint conference, which brings the members of three well-known associations under INO Networks Group together in 28, 29, 30 June 2019 at Grand Hyatt Kuala Lumpur Hotel, Malaysia. The summit is held by participation of the members from Freight Forwarders Family Worldwide Agents Network (3F), Overseas Project Cargo Association (OPCA) and Freight Midpoint International Forwarders Network (FM). These three associations are independent and separate from one another, and have 98% different members. Each association serves different expectations, needs and strategies of freight forwarders and logistics companies. They come together for this glorious summit to create a perfect synergy, potential and networking opportunities. Freight Forwarders Family Worldwide Agents Network 9th Annual General Meeting will be held during 28, 29, 30 June 2019 under the INO Summit 2019 at Grand Hyatt Kuala Lumpur Hotel. You are invited to join us,- Catch human touch, make friends, win new partners and increase your shipment volume. Super productive, beneficial and intensive agent networking days are waiting for professional freight forwarders and logistics companies. A face-to-face meeting plays a significant part in communication and business. It is not just how you said something, but your facial expressions and body posture are also important. Nobody handles his client’s cargo with someone never met. It is a vital point in worldwide agent networking and it is requested from all professional agents to attend AGM regarding natural philosophy of Freight Forwarders Family Country Focused Networking Strategy. The key success factor of our association and our power is coming from “being associated with LIKE-MINDED people who are focused on one common goal of achieving success”. What Freight Forwarders Family (3F) offer is; friendship in a productive and effective business environment. You will have new friends (REAL) and partners (ACTIVE) in 3F Family. Do the best thing for your business, enjoy real logistics partnering! The INO Summit is a New Concept! While we keep associations independent from one another, keep group features and strengthen group mentality for the associations under INO Networks Group, the summit provides a great opportunity to meet more potential partners in freight, logistics and shipping industry. Remind that members are allowed to arrange one-to-one meetings with the members in their own association only. The INO Summit 2019 is a unique joint conference with its distinguished feature of keeping each association’s speciality while giving more networking opportunities to attendees during social events. *Above rates are valid for members. *Non-refundable, non-transferable to any party or next year. + Event Arrangement, Administration and Coordinating. + Conference Hall Hire on Two days with All Settlements. + Official Group Photograph and Photo Shooting. + Event Information, Giveaway and Promotional Items. + Participation in 1 to 1 Meetings during Event Period. + Coffee and Tea Breaks during Annual Meeting Period. + Two (2) Hours Welcome Cocktail Reception. + Free flow local alcoholic/non-alcoholic beverages in Cocktail. + Special Group Buffet Lunches on Saturday and Sunday. + One glass of soft drink during lunches on Saturday and Sunday. + Gala Dinner at the hotel on Saturday. + Free flow local alcoholic/non-alcoholic beverages in Gala Dinner. + Complimentary Wifi service for all delegates at the hotel. + 2 Hours Welcome Cocktail Reception. > Spouse defined as; Girl friend, Boy friend, Husband, Wife and Child. > Spouses are not entitled to take part in the 1to1 sessions, coffee breaks, lunches or collect meeting materials. > You need to book the hotel via 3F special hotel booking form. 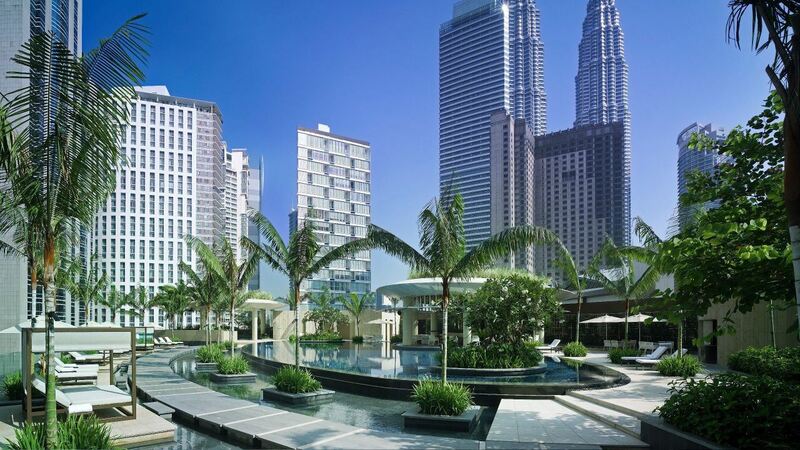 -Meeting registration fee is excluding hotel accommodation, flight tickets and visa. 3F will only issue invoice for above annual meeting registration fees. -You need to contact with the hotel directly to reserve your room. To monitor discounted group room rates, please visit our accommodation page. -Upon receipt of meeting registration fee payment, we will send the hotel reservation form for you to book your room at discounted group room rates.